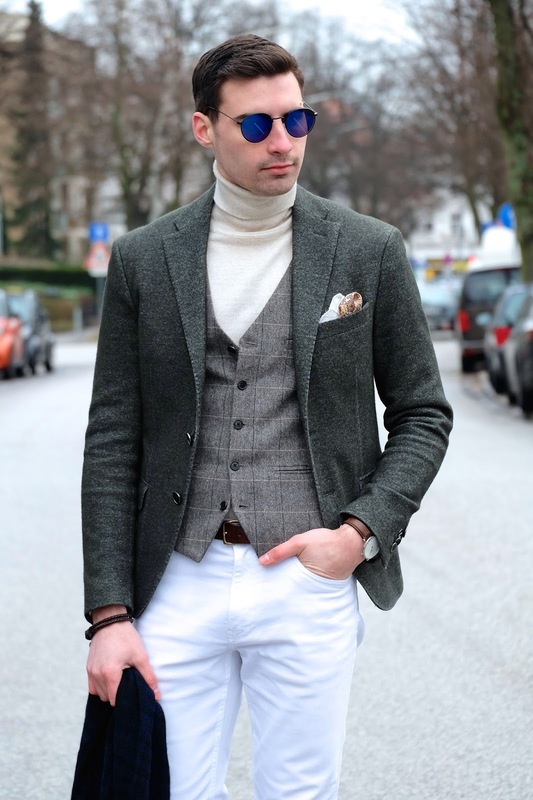 For my final featured trend from Pitti Uomo 89 I’m talking about layered turtlenecks. I’m sure you’ve seen me wearing turtlenecks before and if you’re a follower then you know that my love for them is always growing stronger. At Pitti we saw men wearing them in all sorts of ways. My favorite had to be by layering them under a vest or waistcoat. The look created is super clean with straight lines and a slim silhouette. 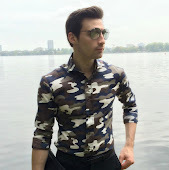 The great thing about this is that by wearing a light colored sweater you have pretty much a blank palette and can play around with patterns and colors as much as you want. 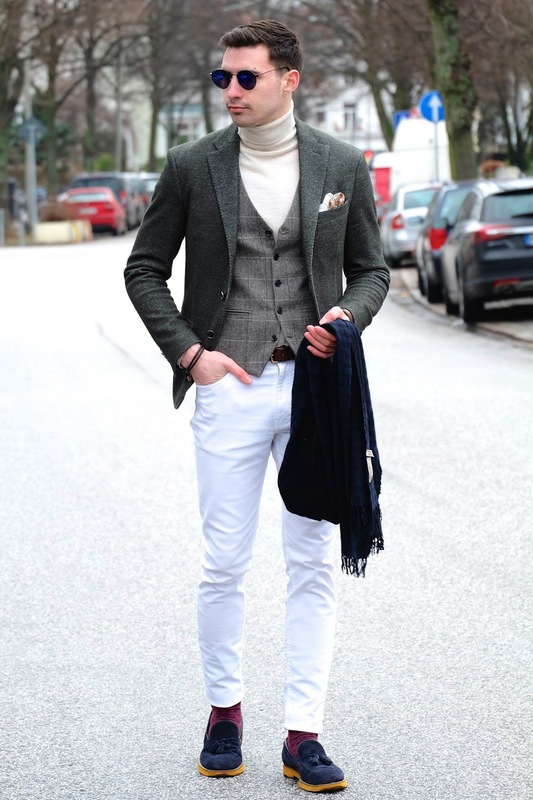 If the turtleneck with vest look isn’t your thing then how about layering a turtleneck under an oxford shirt. Button up all the way to the top and allow only for the neck of the sweater to be showing. This is definitely a risky look but when paired with a statement blazer looks amazing. So for Pitti 89 trends we talked about capes, pocketed scarves , and now layered turtlenecks. Which one will you be trying out? Thanks for reading.